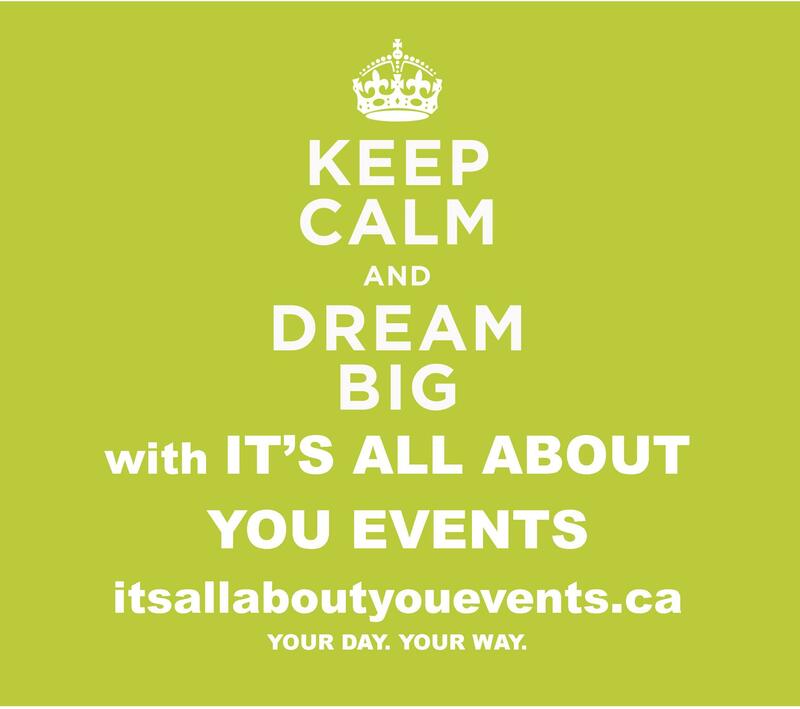 It’s All About You Events www.itsallaboutyouevents.ca understands that every wedding couple wants to save money when planning their wedding. There are good ways—and then there are bad ways to do this. For those in doubt, It’s All About You Events has some advice. Do print a single card with both ceremony and reception details. Do decorate with potted bulbs, herbs, or fresh produce instead of just-cut stems. Don’t skip centerpieces altogether: bare does not equal beautiful. Do give your guests a limited menu for drinks, such as a signature cocktail, beer, and wine. Don’t have a cash bar or, worse, make the reception BYOB! Do serve a pasta buffet for an informal wedding. Don’t do chips, pretzels, and baby carrots and hope that people will show up having already eaten. Do order a cake for just two-thirds of your guest list. (Some people will skip dessert or leave before you cut it). Don’t ask mom to make her jell-o molds. Everyone may have raved about them when you were growing up, but this is a wedding, not a play date. Do ask vendors for a discount, but expect to compromise. (Maybe that means shortening the cocktail hour). Don’t ask vendors to donate stuff.